I have heard a lot about Sight & Sound Theatres. My friend Scott Vann said, “Sight & Sound is on par with the theater experience in NYC.” Well then, I MUST check it out. My family recently took our first trip to Branson, Missouri, and our first stop was to Sight & Sound Theatre, which tells stories from the Bible with a high-tech, spectacular spin. Sight & Sound Theatre gave my family tickets to see their show, “Jonah,” about the man who gets swallowed up by a giant, spectacular fish. There are some huge set pieces in “Jonah,” including an almost life-size ship, a gorgeous underwater world and the imperial fortress city of Nineveh. Film is also used creatively and seamlessly to bring certain aspects of the story to life. More importantly, the story (which is extended to fill two hours) is told well. The biblical story is well known. Jonah gets a prophesy from God to go to Nineveh to declare the city’s wickedness and impending destruction, but there’s a problem. Jonah hates the Ninevites. So, Jonah attempts to flee “the presence of the Lord.” This stage production of “Jonah” adds depth to the character by giving him a backstory to why he struggles following God’s will. He gets passage on the ship, which is amazingly life-like. Perhaps the most spectacular portion of the show is watching the storm that rages, and the ship being battered by it. Jonah, knowing the storm is God’s will, insists the sailors throw him off the ship. Instantly, the storm is calm. Jonah falls deeply into the water. Jonah’s time in the big fish is done beautifully. He survives his three days ordeal, this time resigned to do as God asks. But, God’s demands become even stronger. 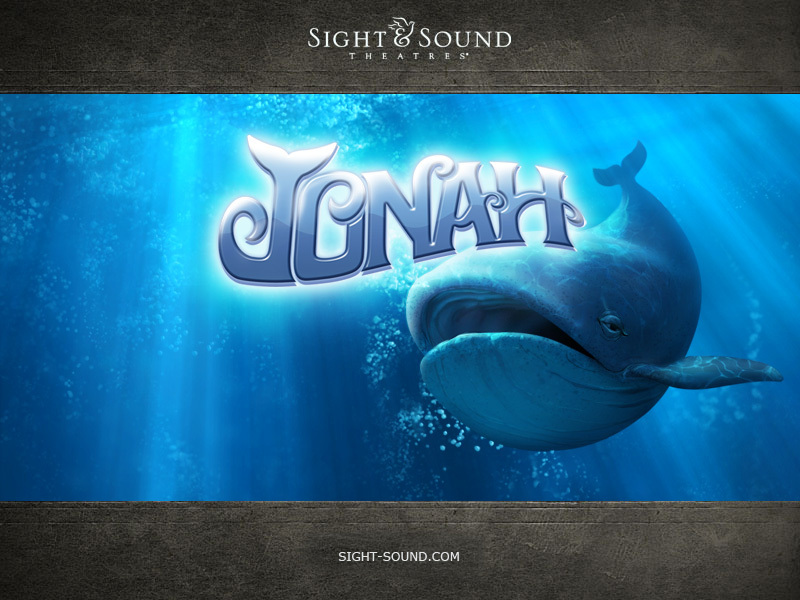 Jonah must help the people of Nineveh find redemption. Jonah keeps trying to avoid God. So, how can he help them seek redemption? What I liked about “Jonah” is that Jonah is quite funny, but he’s not too heroic. He whines. He wonders why God is bugging him. He’s a bit demanding, too. Yet, we stick with him…even like him. The actor who plays Jonah is both funny and frustrating, but keeps you liking him throughout the show. I’m in awe of the powerful voice of the Queen of Nineveh, as she sung herself into my heart. The costume design is stunning and the show is brilliantly produced and directed. Did you know that it takes 25 stage technicians who run the show and 48 actors who star in it? 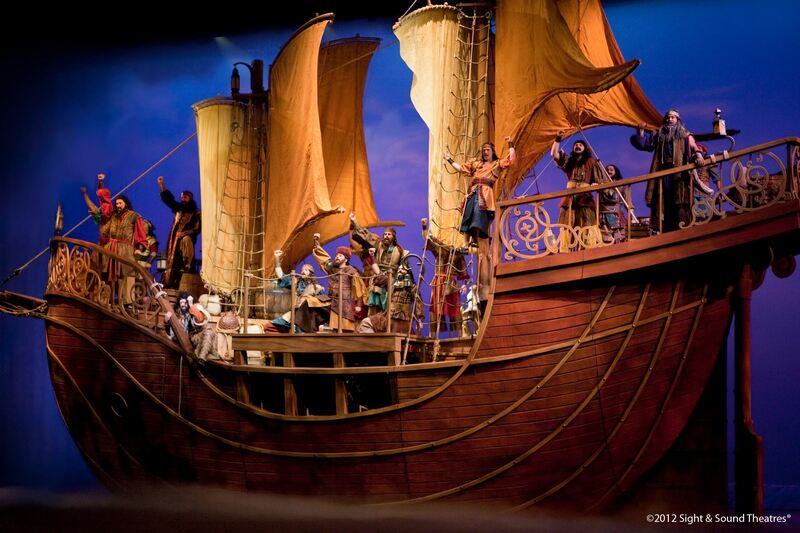 “Jonah” remarkably brings the story alive both as a spectacle and as a Biblical message. You won’t be disappointed with either.